We know you want to spend as much time as possible on your vacation in Sandbridge, but sometimes a full week just isn’t in the cards. Fortunately, this doesn’t mean you can’t have to forego your vacation totally or have any less fun! Any time between September and May, there are properties available for less than a seven day stay or “mini-vacation” (we call it a mini-stay). Here are 5 ways to make the most of your mini-vacation. You’ll be spending a lot of time at your vacation rental when you’re not out and about or on the beach, so you want to make sure to get the most out of your rental. For example, if you can’t imagine your vacation without your pup, make sure you check out our pet-friendly rentals. You can even search for your perfect vacation rental by desired amenities like private pool, hot tub, elevator and more to make sure that your home for the next few days has everything you need. With limited vacation time already, you can even save yourself a bit of travel time by looking for an oceanfront rental so you can wake up, roll out of bed, and onto the beach first thing in the morning – not to mention the stunning views you’ll get to experience every sunrise and sunset of your stay. 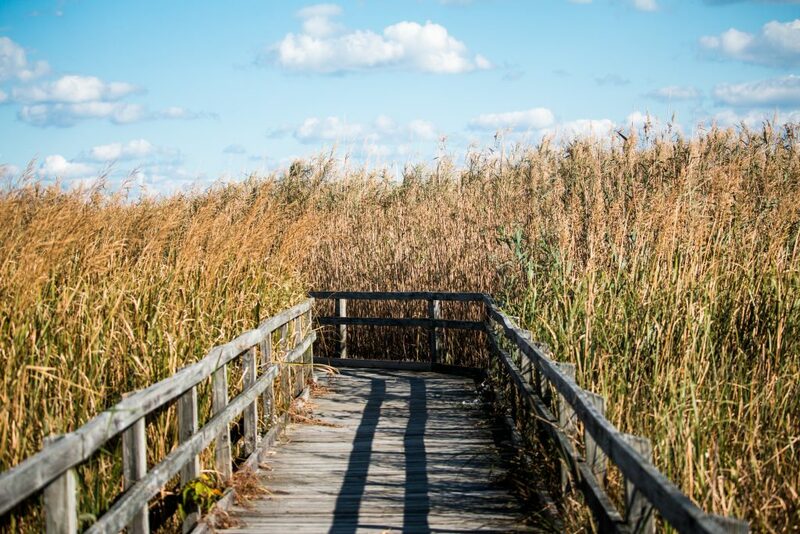 Sandbridge is the ideal vacation destination for the nature lover. There are plenty of activities and sites to be seen for everyone, young and old. For the more adventurous members of your group, enjoy an unforgettable experience on the water with kayak and paddleboard tours. Whether you prefer the calm of Back Bay or (for those with some experience) the open Atlantic, one thing is for sure: you’ll never forget the experience and sights to be seen. Check out Blue Pete’s Dinner Tour for a guided trip through Back Bay Wildlife Refuge to Blue Pete’s for an amazing seafood dinner. Take it a step further and give camping under the stars at False Cape State Park a shot! After all, there’s no better way to take in as much of the sights and sounds than spending the night immersed in it. Park at Little Island Park and hike or bike to one of the 12 campsites to start an experience you won’t soon forget. Speaking of seafood…no vacation is complete without delicious food! If you haven’t tried it before, Margie and Ray’s Seafood is a Sandbridge Beach vacation staple you have to try at least once; they even have a fan-favorite she-crab soup on the menu. Another great option with seafood and beyond, is Baja Restaurant. For everything surf, turf, drinks and even pasta, you could dine here every night of your vacation and have a different dining experience each time. For lunch, pizza, drinks or just a casual meal, Sandbridge Island Restaurant is an award-winning option. Experience why they won in 5 categories for Best of the Beach including Best Kept Secret, Best Deck & Outdoor Dining, Best Pizza, Best Ribs and Best Local’s Hangout. From Happy Hour to their daily specials, The Island has something for everyone. If you’re feeling up for a drive, there are even more dining options in the surrounding areas outside of Sandbridge. Whether you have 3 days to spend or a full week, there’s no shortage of delicious food in Virginia Beach! 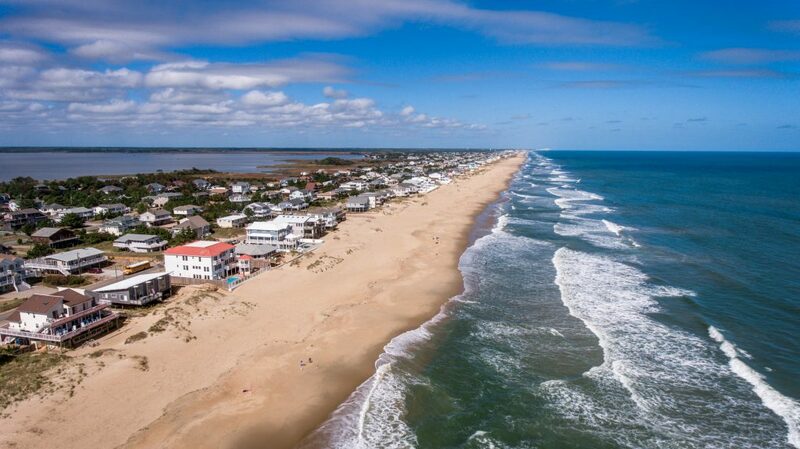 From beautiful ocean views, sunrises and sunsets, and gorgeous bayside vistas, there’s plenty to see in Sandbridge Beach. You’d be doing yourself a disservice if you didn’t check out Back Bay on your coastal vacation! Even if it’s only for an hour or two, if you love to be submersed in nature, this is the perfect spot for you. This stretch of the coast is unique in that it is home to such a wide variety of animals including bottlenose dolphins, foxes, bats, turtles, deer, and more. These are just some of the most popular animals to see in Sandbridge Beach. As a refuge for more than 300 species of birds from tundra swans to osprey there are endless bird-watching opportunities to be had. The key to making the most of your mini-vacation in Sandbridge Beach, is using the few days you have to make memories to last a lifetime! 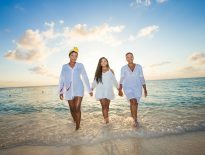 Whether your family bonds by just lounging poolside or soaking up the sun at the beach, there are endless opportunities to make memories on your beach vacation. One way to encourage quality time with the family, is to challenge yourself and your family to have an unplugged vacation with no phones, tablets or tvs to be fully present in the moment. Enjoy each other’s company and the beautiful beach environment each day and you’ll find yourself leaving the beach feeling completely refreshed, no matter how short the trip.